Manilow held a benefit concert November 12, 1989 at the University of South Carolina’s Carolina Coliseum in Columbia to help the Charleston, South Carolina area recover from the aftermath of Hurricane Hugo in 1989. 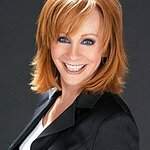 The $10 tickets sold out in three hours, and concertgoers were asked to bring canned food to be donated to residents in disaster areas. Before his concert, Mayor T. Patton Adams named that day “Barry Manilow Day” and Manilow presented the Red Cross and the The Salvation Army with checks of $42,500 each. 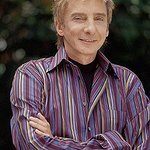 To help in the aftermath of Hurricane Katrina in 2005, Manilow personally matched every US dollar donated by his fans to the American Red Cross through the Manilow Fund for Health and Hope website, and the fund itself also matched, tripling the original donation. The fund delivered $150,000 in less than 48 hours to the American Red Cross, and hoped to raise a grand total of $300,000. Google trends for "Barry Manilow"